EXCLUSIVE: EA Sports confirms the recently retired Green Bay Packers QB will be the cover athlete of its football franchise's 20th installment; first trailer inside. During his 16 years with the Green Bay Packers, quarterback Brett Favre won numerous accolades and awards. His lengthy resume boasts one super bowl championship, two Super Bowl appearances, and nine Pro Bowls. He was named MVP by the Associated Press for three years, was a seven-time All-Pro selection, and was named the 2007 Sports Illustrated Sportsman of the Year. 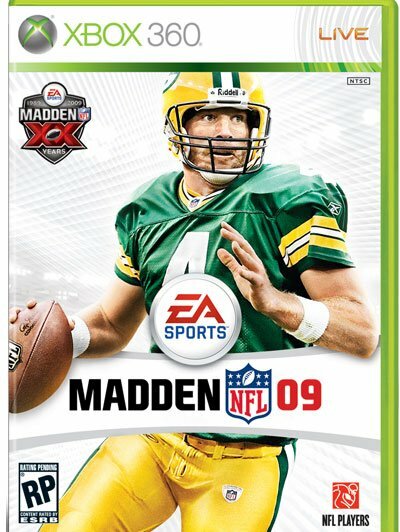 Brett Favre: So agile he even evaded the "Madden Curse." Favre also holds a series of NFL records, including: most consecutive starts by an NFL quarterback (253), most career passing touchdowns (442), most career passing yards: (61,655), most career pass attempts (8,758), and most career games with at least three touchdowns (63). As many citizens of his adopted home state of Wisconsin painfully know, he also has the dubious distinction of having thrown the most interceptions in NFL history--a whopping 288. 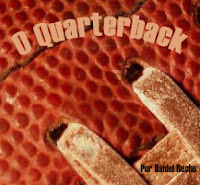 Acho que a sua assinatura ficaria melhor na capa do Madden. Agora veremos se a maldição afeta o cara fora de campo também. Bem merecida a capa, só acho que ficou muito clara..
Acho uma justa homenagem... mas pq não fizeram com o Marino quando ele parou?? Afinal já existia o Madden... se bem que naquela época a Capa era fixa... com jogadores parece que começou em 2001, foi isso?? Acho que o Favre é mais justo que o Sean Taylor.. E não teve nenhum jogador de defesa este ano que realmente fez por merecer ser a capa. Gostei da capa, agora é esperar o jogo! Tambem acho interessante variar, serialegal algum grande defensor alguma vez. Quando será que sai pra PS3? ps. também preferia que fosse o Sean Taylor.. O Favre podia ser a capa da edição histórica, que dizem estar sendo feita..
Eu ficaria feliz em ver o Eli na capa. » [VENDIDA] capa pneu suplente.